It was that kind of win that nobody saw coming. Congrats coach Ramil! What you hoped for happened. The Lady Spikers did surprise the Lady Eagles, their supporters…and surprisingly, even the Lasallian community as well. But seriously, the team delivered a performance we know they are capable of. Their depth was in full display with Des Cheng and Tin Tiamzon giving way to the likes of Joline Dela Cruz, Aduke Ogunsanya, Lourdes Clemente and May Luna to take the scoring cudgels this time around. Michelle Cobb’s execution on offense was superb which resulted to Ateneo having zero blocks in this contest. And on the defensive end, what about CJ Saga huh? 21 excellent digs and 14 excellent receptions. She and Lourdes had their share of nasty criticism all-season by La Salle’s own “neanderthal fans” (yup we have them too) so it was nice to see them rise up to the challenge and contribute significantly to this big win. You rarely see a libero being named player of the game. 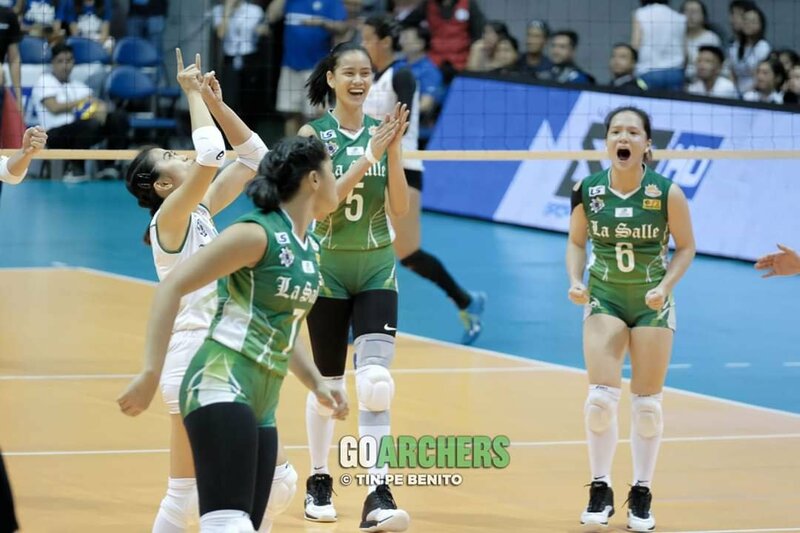 We said before that once the Lady Spikers are all locked-in, they will be a difficult team to beat. No denying that this season is a struggle for them but the way they played last Saturday just shows how great they can be when motivated and inspired. And that my friends, is a very bad development for the rest of the remaining squads that are still in contention for the championship. So let’s hope the girls keep the momentum going heading into the homestretch of the season. Immediate goal is to secure the second twice-to-beat seat. With UE and FEU as their last elimination round assignments, they are in a very good shape to clinch it. How important is that? Well their semis opponent will be most likely UST. UP is already out of it so any payback plans will have to wait next season. On a sidenote, those who still think Ateneo deliberately lost the game is an outright fool.